My daughter loves dressing up and I especially love to buy her Holiday themed bows and headbands for her to wear. 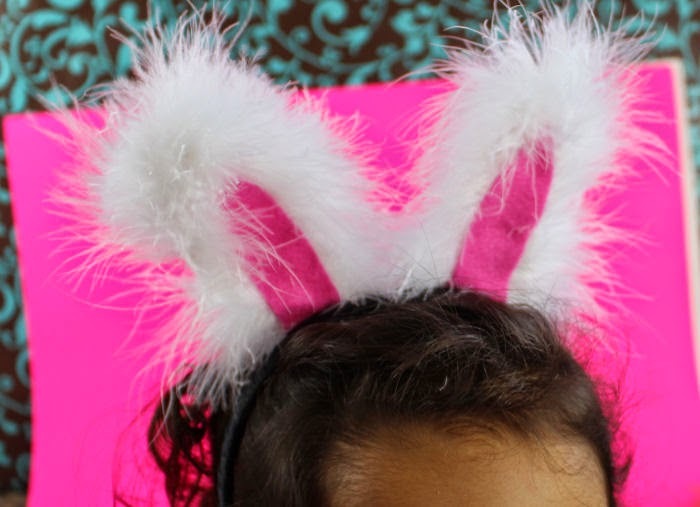 I wasn't satisfied with the bunny ears I saw in the discount or big box stores so I decided to make my own. I wanted them to be fluffy and sturdy. 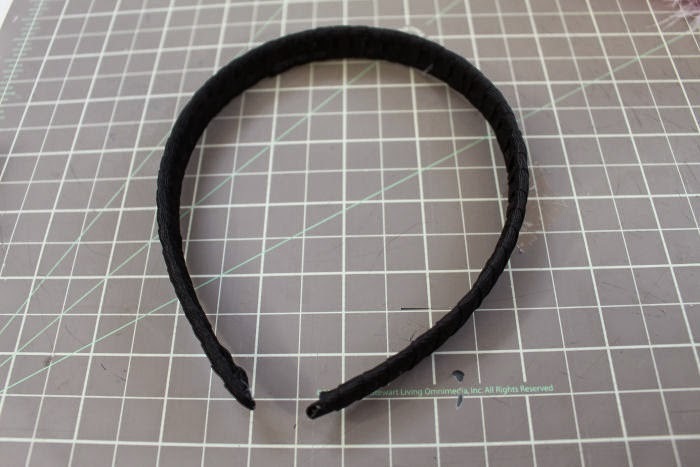 I also wanted the headband part to be similar to my daughter's hair color so that it could look more like ears and less like a headband. 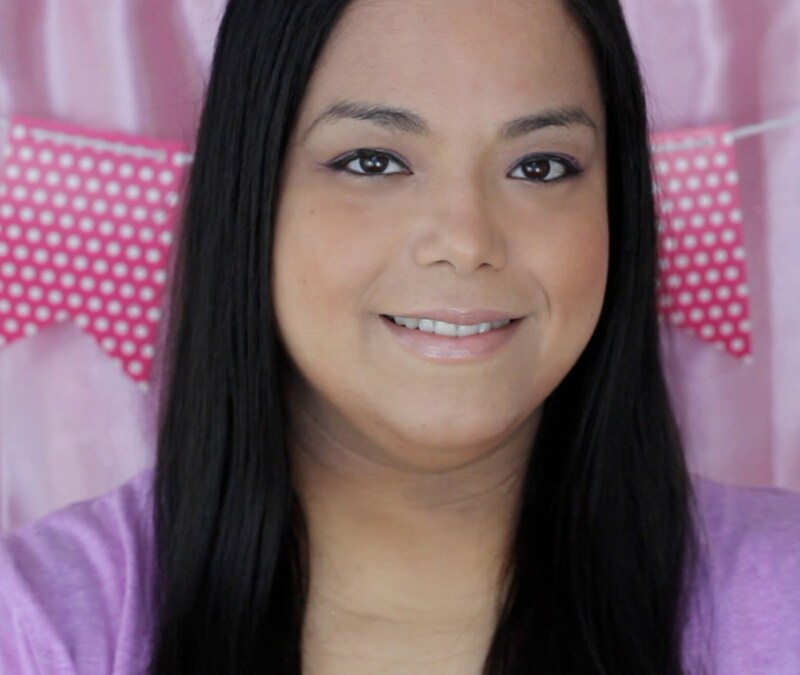 I originally wanted to get a black or dark brown headband but couldn't find one so I opted to wrap a green headband I had with black ribbon. I went on a search through my craft bins and found some left over marabou boa from the Christmas skirt I made my daughter and some pink and white felt to detail the ears. 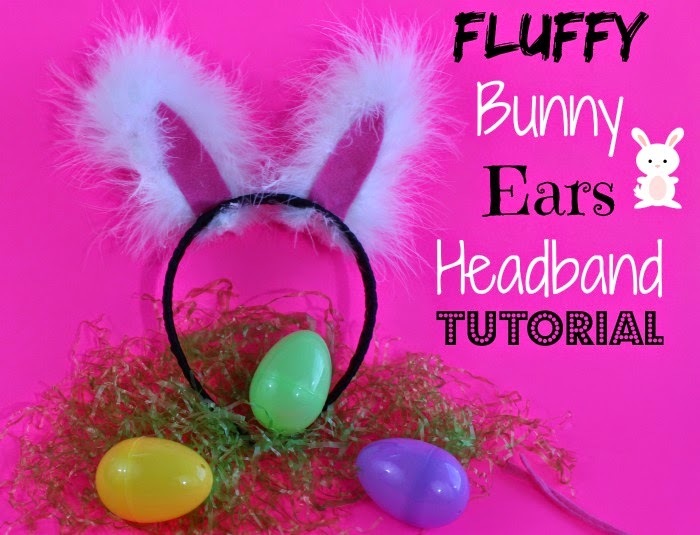 I wanted the ears to stay upright so I took out some pipe cleaners and then took out my hot glue gun. First you need to cut two pieces of marabou boa that are eight inches long. Take two pipe cleaners and cut them both to be eight inches long too. Hot glue one of the pipe cleaners to the middle of the one of the marabou boa strips. Repeat for the second one. 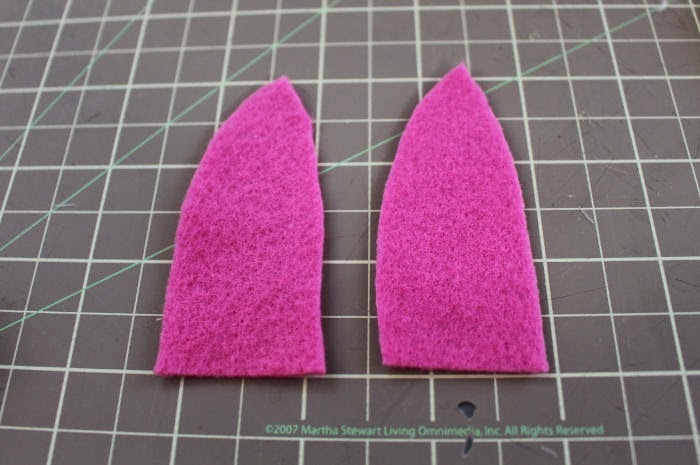 Cut two pieces of pink felt to look like the inside of the bunny ears like in the picture below. 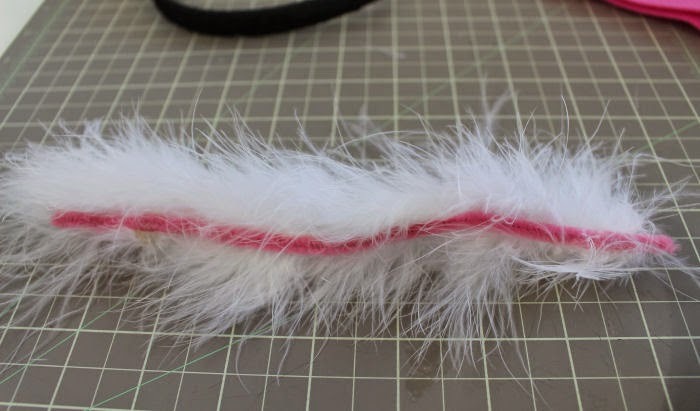 Fold each of the marabou boa and pipe cleaner strips in half. Hot glue the felt pink inner ears onto the front of the ears. 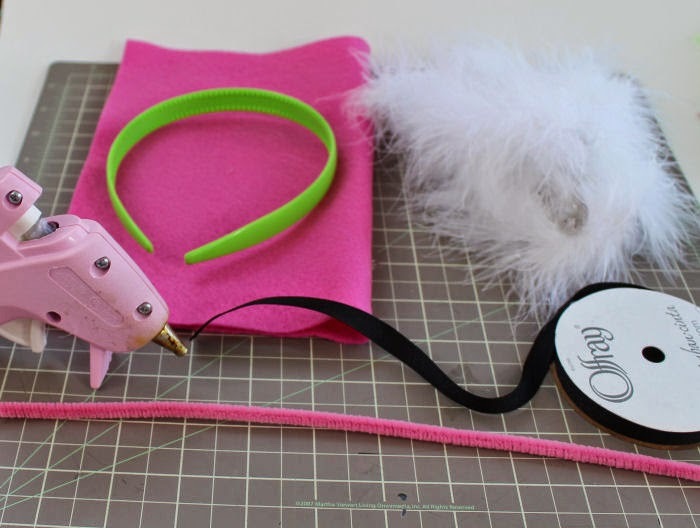 Hot glue the ears to the headband making sure to put lots of hot glue on the back edge and bottom of the headband so that they stay secure and upright.You can also dress it up by adding bows to the ears of some rhinestone and glitter. Finally let your little bunny prance around on Easter. Does your little one like to dress up on the holidays other than Halloween? That came out so cute. I love them! They are perfect for little girls. Those are adorable--you are so crafty!! You really can't tell that that is a headband!! This is so adorable! I miss the years when my daughter was wearing cute headbands! adorable! love that you covered a cheap headband instead of buying a more expensive one. I see all kinds of possibilities with different ribbons and such using that tactic. Those are too cute! I love how easy it is too. omg those are so cute, i know my daughter would love making this.